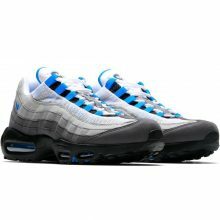 Looking for new trainers or workout clothing? Are you broke and counting down for payday? Don’t forget to check overseas outlet shops offering amazing deals on sports brands, and not spend too much while waiting for the day you make bank! 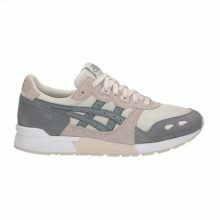 The UK Asics Outlet is currently offering up to 60% off and covers sneakers, workout athletic wear as well as accessories for both men and women! To shop Asics Outlet UK make sure it’s set to the UK to ensure you get the best deals! Bodega – Streetwear Sale Up To 20% OFF! Goat has recently released their greatest of 2018 sneaker releases, and we’ve selected a top 10 selection from the list! Just be sure to send the item to our warehouse to make sure that you get your cashback from the shipping back into your Buyandship account! More information about the campaign is here, and check out the top 10 of the list, and to access the full list, check out the link at the end of the post. Yeezy Boost 700 ‘OG’ Air Jordan 1 Retro High OG ‘Bred Toe’ Yeezy Boost 350 V2 ‘Cream White / Triple White’ Air Jordan 11 Retro ‘Concord’ 2018 Yeezy 500 ‘Blush’ Sean Wotherspoon x Air Max 1/97 Travis Scott x Air Jordan 4 Retro ‘Cactus Jack’ React Element 87 ‘Light Bone’ Pharrell x NMD Human Race Trail ‘Holi Festival’ OFF-WHITE x Air VaporMax ‘Part 2’ Link to the greatest sneaker releases of 2018..
Footlocker UK – Sale on Now! Fans of Vans, We’re sure you guys follow this brand closely and the selection that we get locally is not bad. However, don’t miss out on the sale that is going on on the UK site, that offers up to 50% off selected items covering mens, womens and kids selection, allowing you to buy more of your favourite brand! Although the brand doesn’t accept foreign cards, make sure you are equipped with your paypal account to make payment for your loot so it could be delivered to you without much fuss. They also deliver free to our UK warehouse, so make sure you have this accessible upon check out. 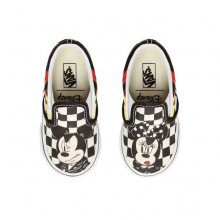 Link to the sale at the end of this post, but here’s our selection from the sale : VANS X MARVEL OLD SKOOL SHOES £ 45.50 (-30%) CHECKERBOARD OLD SKOOL SHOES £ 32.50 -(50%) TODDLER DISNEY X VANS CLASSIC SLIP-ON SHOES..
Boohoo is another British high street fashion brand that has yet to reach our shores. Even then, their style is fashionable, prices are affordable even in our currency and range covers tops, bottoms, dresses, jumpsuits, underwear, jewelry and accessories for men and ladies. 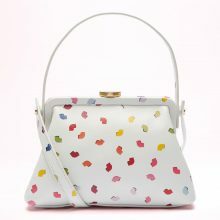 What more now they are offering an extra 25% off on new releases and already sale items so now would be the best time to try this brand if you want to check them out. They offer £3.99 standard shipping, but if you like them enough, you can pay a premium fee to get free shipping to our warehouse for the year. Check out our selection on the sale items, or skip to the bottom for the sale link. Boutique Embroidered Organza Midi Dress £12.00 (60% OFF) Ring Layered Plain Necklace £4.00 (50% OFF) Ring & Strap Lace Body £9.00 (43% OFF) Short Sleeve Cotton Stretch Muscle.. If there’s one thing that will appear on any guy’s wish list for Christmas, Birthdays, or any special occasions, it will be sneakers! With many special releases throughout the year, and most of the time, we are not even able to see it in our shores, it’s no wonder that guys look at them online and are willing to pay a pretty penny to get it shipped from overseas! With BuyandShip’s collaboration with GOAT.com, you can now not worry about expensive international shipping as BuyandShip will return half of your shipping price of your latest kop from GOAT.com to you! Just make sure you read all the steps on our campaign page to ensure ultimate savings – so you can spend more on that golden shoe! 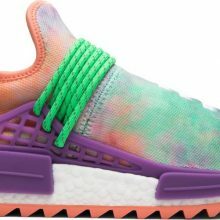 For this year end, GOAT.com has curated a selection of must have sneakers that are available on their site, and we’ve selected some for..
2018 has really been the year for ladies kicks. 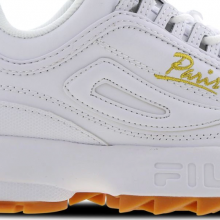 With many pastel colourways as well as lines focusing more for womenkind, it’s no wonder that many more women these days are choosing sneakers over heels. With many styles suitable for any style that you may rock, why not choose to be comfortable, am I right, ladies? 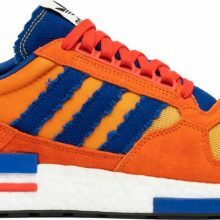 With our collabortion with Goat.com, giving BuyandShip users back half of their shipping cost with us, it now makes sense to expand your shoe collection! 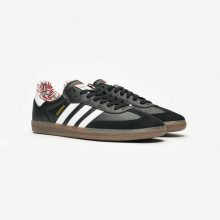 Of course, Goat.com has a good selection of sneakers available for the ladies, and definitely something not to be missed. 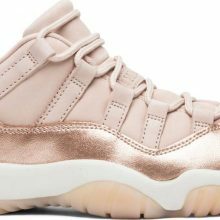 Check out the full curated collection from the Goat.com site here, or check out our selection below : Wmns Air Jordan 11 Low ‘Rose Gold’ Available in New for USD170 or Used for USD100 on Goat.com Anna Wintour x Wmns Air Jordan 3 Retro ‘AWOK’ Available New for USD125..